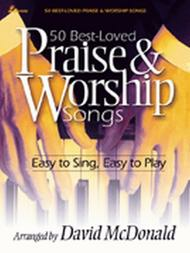 50 Best-Loved Praise & Worship Songs (Easy to Sing, Easy to Play). Composed by David Mcdonald. For piano, medium voice. Sacred. Easy. Published by Lillenas Publishing Company (LO.9780834171688).